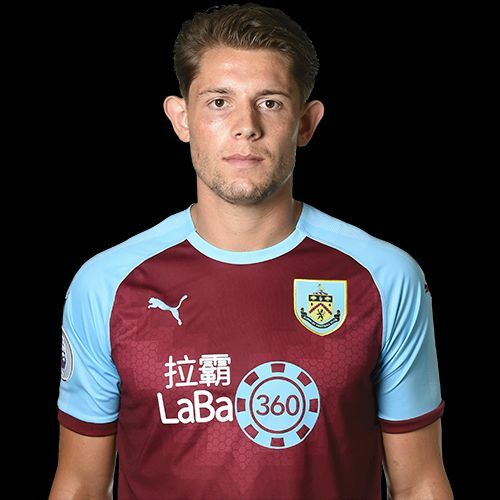 James Tarkowski has closed the gap at the top of the Up the Clarets Player of the Year Table after his man of the match performance in last Saturday’s 1-1 home draw against Huddersfield Town. Tarkowski battled through an injury that forced him to withdraw from the England squad to turn in an excellent defensive performance for the Clarets. He’d been a doubt before the game having come off at Cardiff six days earlier. His performance won him both the man of the match vote and the player ratings which saw the same top four on both. He polled 47% of the man of the match vote, ahead of Jόhann Berg Guðmundsson who was second with a 33% share. Third place went to goalscorer Sam Vokes who polled 8% and goalkeeper Joe Hart took fourth place with a 4% share. Tarkowski won the ratings with a score of 7.03 out of 10 with Guðmundsson taking second place with 6.85. It was Vokes again in third place with 6.23 and a rating of 6.11 out of 10 gave fourth place to Hart. That result won Tarkowski ten points towards the player of the year with Guðmundsson winning six votes. There were four votes for Vokes and two for Hart. It’s taken Tarkowski within six points of Hart at the top of the table; those two have pull some way clear. Guðmundsson has moved ahead of Jeff Hendrick into fourth place and Vokes is now joint sixth in the table. With no game this weekend, the next vote will be in a week’s time after our game at the Etihad against current champions Manchester City. The Huddersfield result and the current player of the year table can be found below.